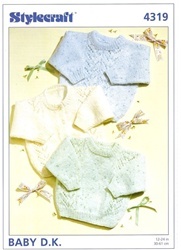 Cardigan or pullover with lace column variations. 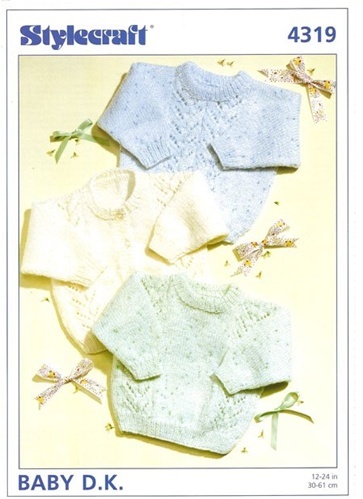 Seven sizes to fit preemies up to 4T or so, with chest measurements of 12 inches (30cm) to 24 inches (61 cm). Takes about 100g -200g DK weight yarn.